How Do You Choose the Right Handgun? This is one of the MOST COMMON questions we get at Point Blank Range. We believe this page describes THE BEST answer for everyone. We have a great class in our Training Academy called BASIC INTRODUCTION TO FIREARMS. This class is for everyone who is thinking about buying a gun, wants to try out the shooting sports, needs a simple refresher, or is simply curious. (If you know anyone like this, this is the place for them to start; and it’s only $20!) In this class, almost everyone wants to know how to choose a gun because almost everything about guns is new to them. When you are at that stage it’s all pretty intimidating. So first of all, there’s no rush. Slow down, and learn how to shoot first. Here we describe where to start and maybe where not to start. The instructor of the Basic Intro class is famous for saying, “Don’t ask Uncle Bob or Grandpa Joe.” (Our apologies to any of those guys out there.) What he means is that your “gun guy” friends and relatives may be well-intentioned, but they are usually giving you their opinion of what they like and not necessarily what’s best for you. The other person usually NOT to ask is the guy standing behind the counter in many gun stores, pawn shops, etc. They are often going to try to sell you (the novice customer) whatever they can make the most money on or what they are trying to get rid of because no one else will buy it. What do you want to use your gun for? What gun works best for you? You probably know the answer to this first question or you wouldn’t be thinking about buying a gun. Typical reasons include sport, fun, a new challenge, work-related, or personal/home defense or a combination of these. For the purposes of this article we are discussing handgun selection, but if you are considering buying a rifle or shotgun most of the same principles apply. The other assumption being made is that, if you are reading this, it’s because either you or someone you know is a relative beginner and considering a first gun purchase. Guns are made in different calibers in order to match the destructive power of the bullet to the intended target. If the intended purpose for your gun is to shoot at paper targets for fun or sport then any low caliber pistol (such as .22, .32, or .380) will do fine. That type of gun (in full frame size) is very easy to handle and comfortable to shoot because it has little felt recoil. If you also want this firearm to serve as part of your personal defense plan you will need to consider a larger caliber (9mm, .40, .45). Your experience level is also very important in deciding on a first gun. This may be the gun you are going to use to learn how to shoot. It needs to be simple. It needs to be fairly comfortable to use. (We say “fairly comfortable” because shooting a gun is not comfortable for the beginner shooter. That comes with practice and experience.) We HIGHLY recommend that a first handgun be a full frame model. Many handguns come in three sizes – full frame, compact, and subcompact. The smaller compact and subcompact models are not meant to be beginner guns or lady’s models. Smaller guns are made to be concealed. They are often harder to control (for beginners) and have more felt recoil. While you are learning the skills of shooting and gun handling, you need to have a gun that is large enough to establish a full grip on it with both hands, one with easy to see front and rear sights, and easy to manipulate controls. For your first gun, stick with full frame. Also, complicated safety and decocking mechanisms will make for a steeper learning curve. And while revolvers may be simpler in some ways, they hold fewer rounds of ammuntition and are slower to reload for most people. Depending on your intended use, this may be fine, so a revolver could be a consideration for you. There is only one way to figure this out. You have to shoot guns, maybe a lot of guns. But first you have to learn to shoot, so you k now how to compare one gun with another. At Point Blank Range we have a couple of easy ways to do this. We have beginner classes like Beginner Handgun Fundamentals and for ladies only, Ladies on Target. If you would prefer individual instruction, schedule some sessions of One-on-One training with one of our instructors. You can also combine both classroom and one-on-one instruction to tailor your learning to your own style. So how do you take shooting classes without a gun? That’s easy! 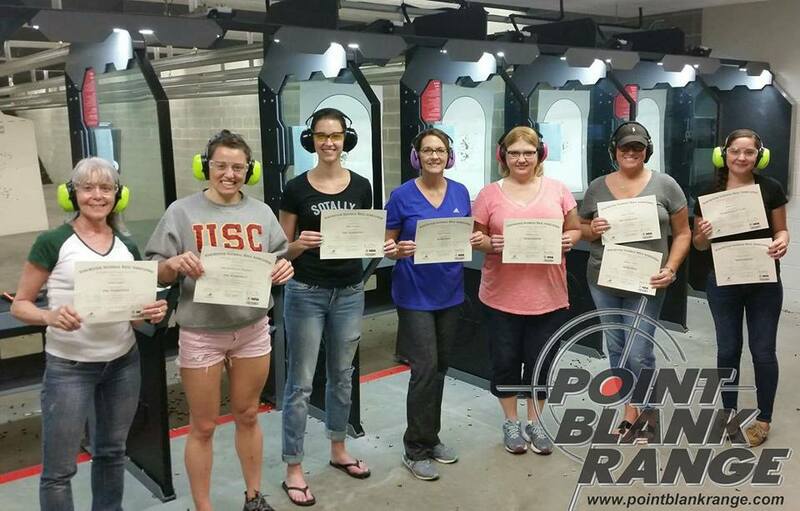 Point Blank Range has over 100 guns to rent and some of our beginner classes even include guns and ammunition in the price of the class. The photo below shows what we call our “try-before-you-buy” wall. To make it easy to try lots of guns, we rent our guns by the caliber. That means that for one $20 fee you can shoot as many different guns of a single caliber as you want to try. For example, we have over forty 9mm pistols. And we will never rush you. To shoot on our world-class ranges, you only pay a $20 flat rate for the whole day. Shoot for a while, go take a break, and come back later in the day. You’re still covered. After learning how to shoot by getting some training and practicing to become comfortable with a firearm, you will be able to compare different guns and decide which ones you like better. Some guns will fit your hand better and feel better to you than others. You will find that you like the style of certain sights better. The weight, balance, and shape of the grip is different with different guns, and you will find that some are easier for you to shoot accurately. 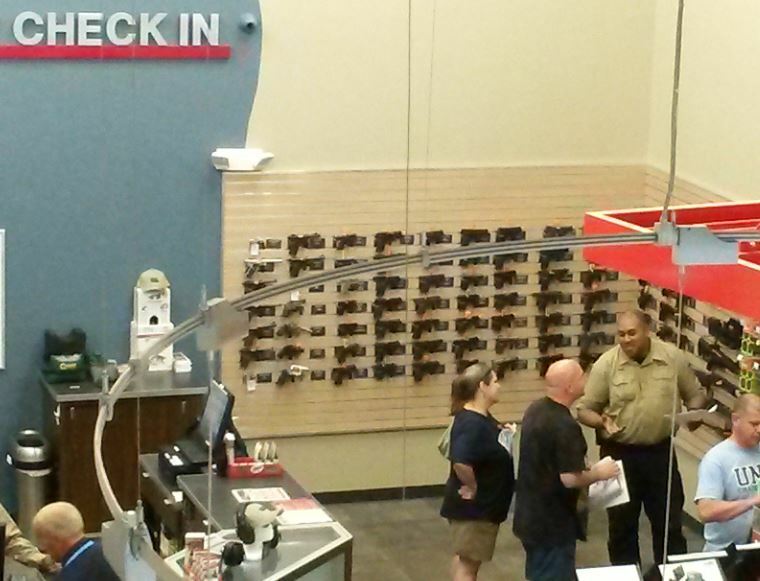 Our team members at Point Blank Range will help guide you through this process until you find the gun that “fits”. You’ll know it when you do. You notice that we never mentioned price. That’s because price should not be a top determining factor in choosing a gun. There are a number of very good guns for a very reasonable price, so you don’t need to start your analysis with price. Once you find a few guns that you really like, then choose the one that’s in your price range. One caution – as with most things you do get what you pay for. A really cheap gun, as with most things, will be poor quality. That means it might not work when you need it. Expect to pay at least $350 – $550 for a reliable first gun. 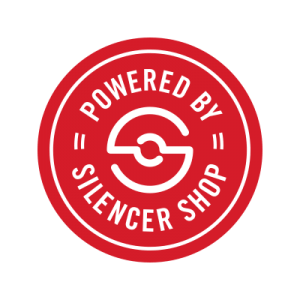 If you buy your gun at Point Blank Range, we only sell good guns, and we back every one with our LIFETIME WARRANTY. We are with you for the long haul. 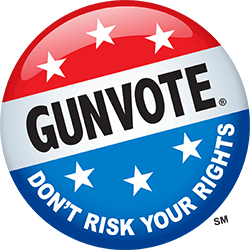 Everything we do is devoted to improving the quality and value of individual gun ownership. See you soon! If you have questions about how to purchase a gun click here.